One of Mexico's most loved artists, Frida Kahlo, evokes a deep connection with Mexican heritage. 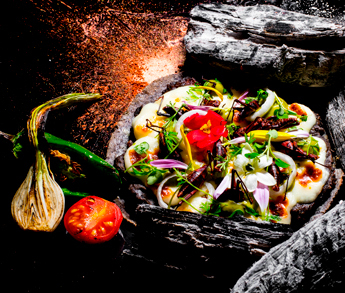 At Frida, you will enjoy creative Mexican cuisine with bold aromas and spices. The vibrant food, presented in native colors from yellow to purple, reflects Mexico's culinary spirit. 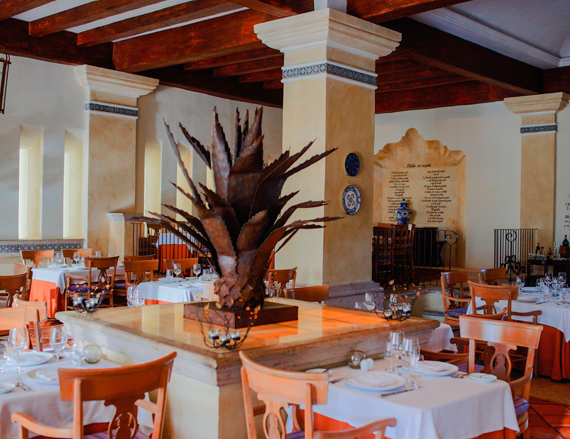 Located on the second floor above the lobby, Frida is a lively Puerto Vallarta restaurant serving traditional Mexican cuisine in creative new ways. 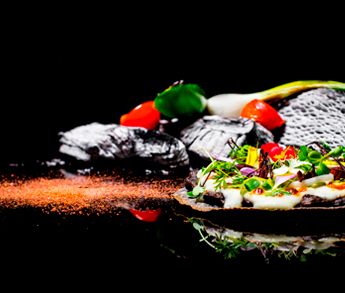 Indulge in mouthwatering local cuisine that celebrates Mexico's colorful culture, creative spirit and sense of adventure. Gather at a table in our dining room or sit on our beautiful outdoor terrace with stunning ocean views. 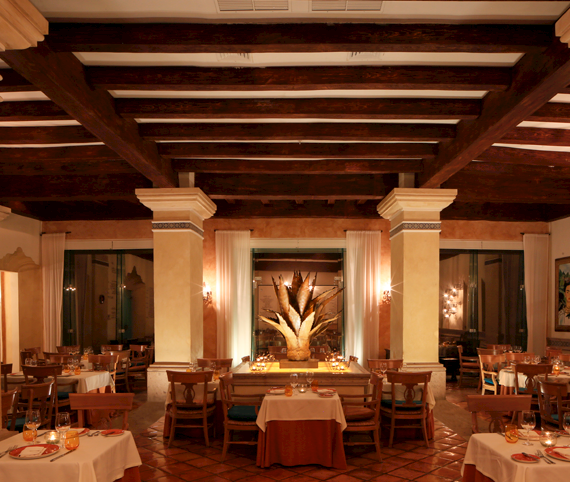 Live guitar and the music of Riviera Nayarit enhance your dining experience. 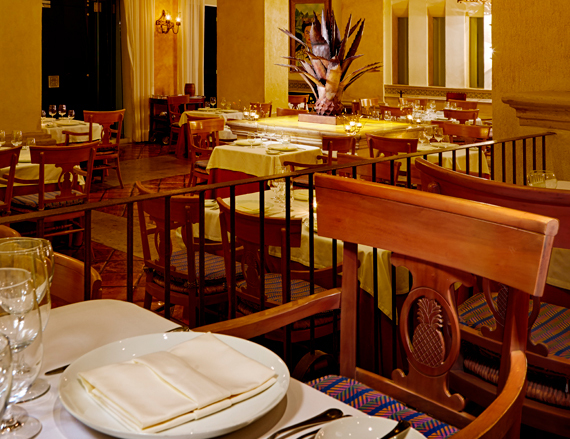 Frida is truly one of the best best Mexican restaurants in Nuevo Vallarta. It was awarded Four Diamonds by AAA, certifying the highest standards in fine dining. Reservations are required and children are welcome. AttireElegant-Casual (collared shirt, trousers and closed footwear for men; dresses, skirts, or evening trousers for women; beach sandals, tank tops and shorts are not permitted). Savor the bold foods and flavors of Riviera Nayarit and the culinary traditions of Mexico. 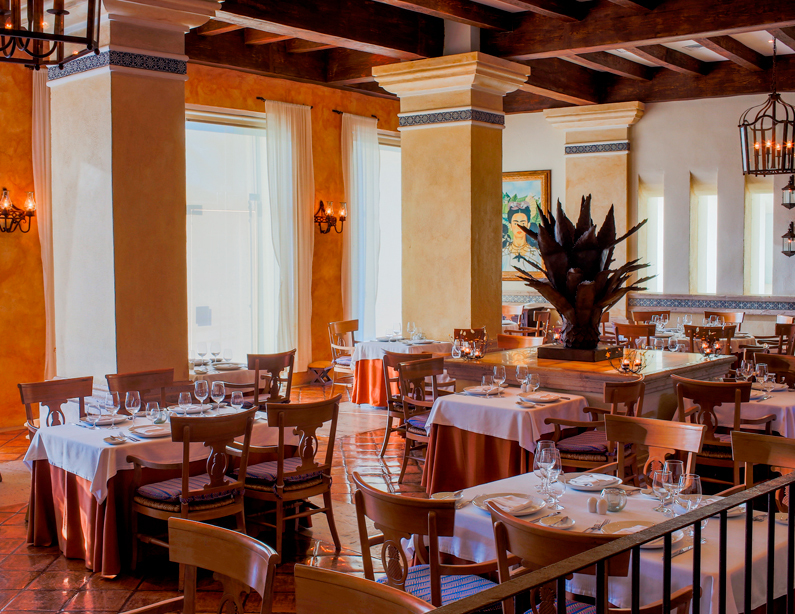 Enjoy elevated Mexican cuisine with a modern twist, made from local produce and ingredients and fresh seafood. Enjoy menu favorites like seared fresh tuna crusted in chili seeds, fire-roasted salmon al pastor and duck breast marinated in local honey. Born in the city of Tampico, Tamaulipas, Chef Mendez' taste for cooking began in his childhood, at a seafood restaurant owned by his family in a town called Tamiahua, Veracruz. He is a graduate of the Instituto Culinario CUALTI and began his apprenticeship at the Club de Industriales at the Camino Real Hotel in Tampico. He then moved to the Riviera Maya to develop his skills in various hotels. 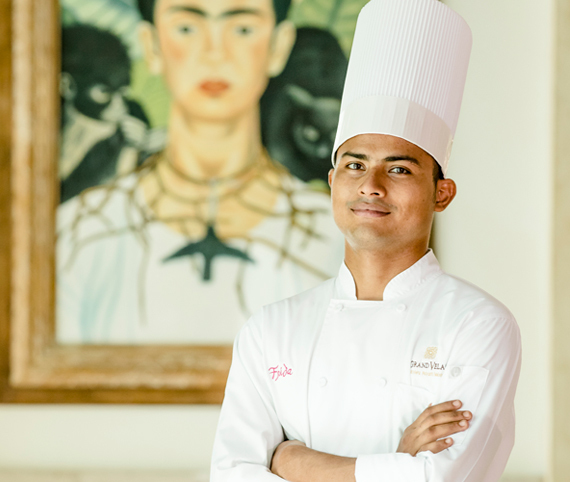 He began at restaurant Frida at Grand Velas Riviera Maya resort working under Chef Ricardo de la Vega, rising through the ranks until he became the restaurant's Sous Chef. He has also contributed to various national and international culinary events alongside great chefs such as Mikel Alonso, Carlos Gaytan, Zahié Téllez and Alejandro Heredia. Today, he is Executive Chef of Frida restaurant at sister resort Grand Velas Riviera Nayarit, under the guidance of Chefs Isaac Esparza, Guillaume Morancé and Michel Mustière.